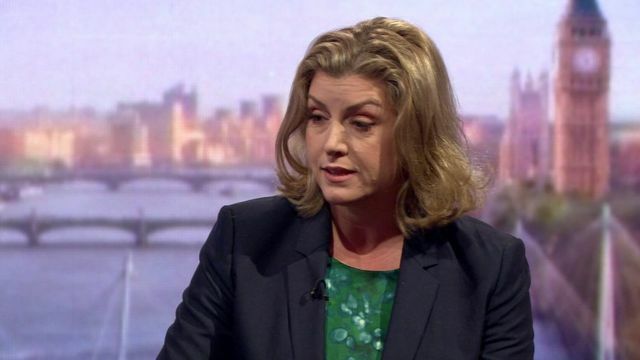 'The UK can't veto Turkey joining EU' Jump to media player Armed Forces Minister and Leave campaigner Penny Mordaunt thinks it's "very likely" Turkey will join the EU in the next eight years. MP has yet to tell his mother how he will vote Jump to media player Conservative MP James Heappey has yet to reveal which way he will vote in EU referendum. Cornish farmer's 'beef' with the EU Jump to media player Jessica Jeans, a farmer from Saltash in Cornwall, airs her views on the forthcoming EU referendum. EU vote: To border or not to border? Jump to media player From the border of Hungary and Serbia to the white cliffs of Dover, the BBC's Damian Grammaticas takes us on a journey to explain the complexities of border control in the EU referendum debate. Armed Forces Minister and Leave campaigner Penny Mordaunt thinks it's "very likely" Turkey will join the EU in the next eight years. She suggests pressures from the migrant crisis will give Turkey leverage over the EU and rejects the idea that the UK could veto Turkey's accession.